We have two services every Sunday at 9:00 AM and 11:00 AM, and we meet in our newly renovated building at the corner of S. Rosemont and S. Plaza. The address is 315 S. Rosemont Rd, Virginia Beach, 23452. The more time you spend with God in prayer, the more your faith in Him will grow. Every Saturday morning, we gather in the RED Church Sanctuary to pray together from 8:30 to 9:30 AM. This is an opportunity to partner with God and see amazing things happen in our families, church, and community. We invite you to join with us on Saturday mornings. Let's make a difference in prayer together! Join us for a brand new chapter at RED Church as we begin holding services at our new building! Weekly services are now on Sundays, 9:00 AM and 11:00 AM, at 315 S. Rosemont Rd, Virginia Beach, 23452. Join us for our message series, FOR4EVER, this Sunday. This February, every 2 check-ins at RED Church provides a meal to children in need. We're working with feedOne to make it happen. 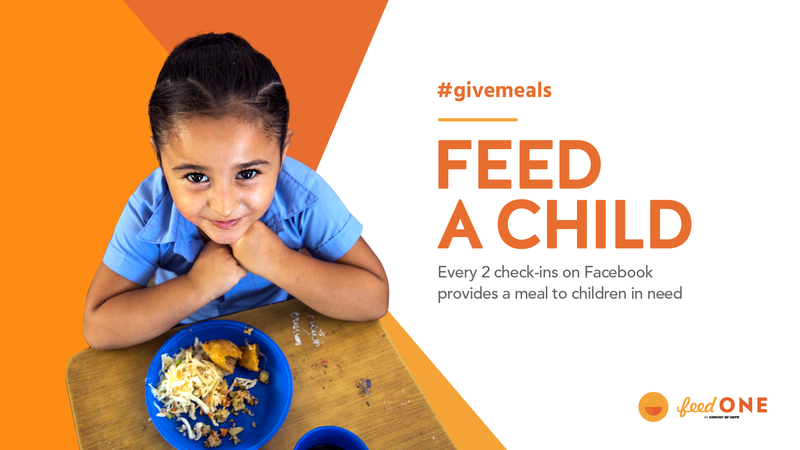 You can add #givemeals when you check in to promote the cause. For more information about this month's mission, check out feedone.com.